HOW EXACTLY IS A ST LOUIS WAGE GARNISHMENT STOPPED? A wage garnishment is stopped by either paying the debt in full (with interest), or by filing a St. Louis bankruptcy. Once the bankruptcy petition is filed, a St. Louis bankruptcy attorney can contact the creditor who is garnishing your paycheck and have it stopped immediately. Most St. Louis wage garnishments take up to 25% of your net earnings (but you can get that dropped to 10% if you claim Head-of-Household on your taxes). This can have a tremendous impact on your ability to pay all of you bills (let alone rent or mortgage). In fact, a lot of people will take out new credit cards to make up the shortfall from the garnishment just so they can buy necessities like groceries and put gas in the car. But life does not have to go on like this. Living with this kind of stress can be overwhelming. Filing a St. Louis bankruptcy will not only put an end to the garnishment on your check; it will also get rid of the underlying debt that caused the problem in the first place. In addition, a St. Louis bankruptcy lawyer can get rid of your other unsecured debts (like credit cards, medical bills, payday loans, etc). It will unfreeze any bank levies on your checking account; it will stop any future lawsuits pending against you; and it will put you back on the road towards financial freedom by giving you the fresh start / clean slate you need. 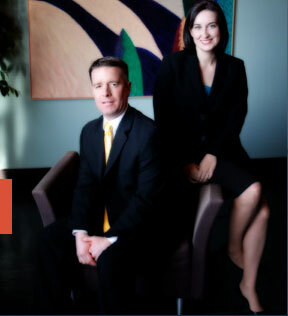 The St. Louis bankruptcy attorneys at Brinkman & Alter, LLC have been handling debt-related issues for over ten (10) years. Our team is ready to answer all of your questions, explain your full range of options, and help you get back control of your life! !